Even thouhg our research is focused in holomorphic dynamics, we want to keep and reinforce our collaborations with other researchers of the GSD-UAB. In particular we organize annual (or bi-annual) meetings were we discuss the present research of all members, we plan possible future activities, and, in general, we take advantge of the advantages given by a larger critical mass. 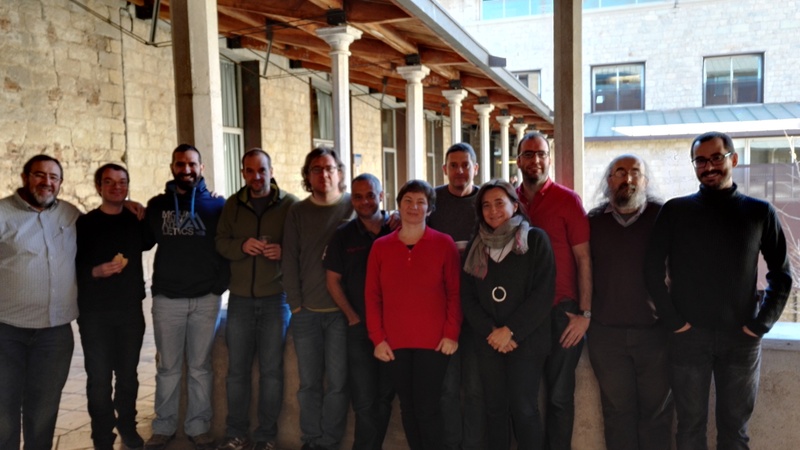 Some of these meetings reduce to our participants of the holomorphic dynamics seminar, some of them extends to members of the GSD-UAB group working in discrete, low dimensional, dynamical systems and finally some of them invlove all members of the group. Annual meeting in Girona (discrete dynamical systems): 4-5 February 2016. Program, Summary activity of the group 2011-2016 and Picture.